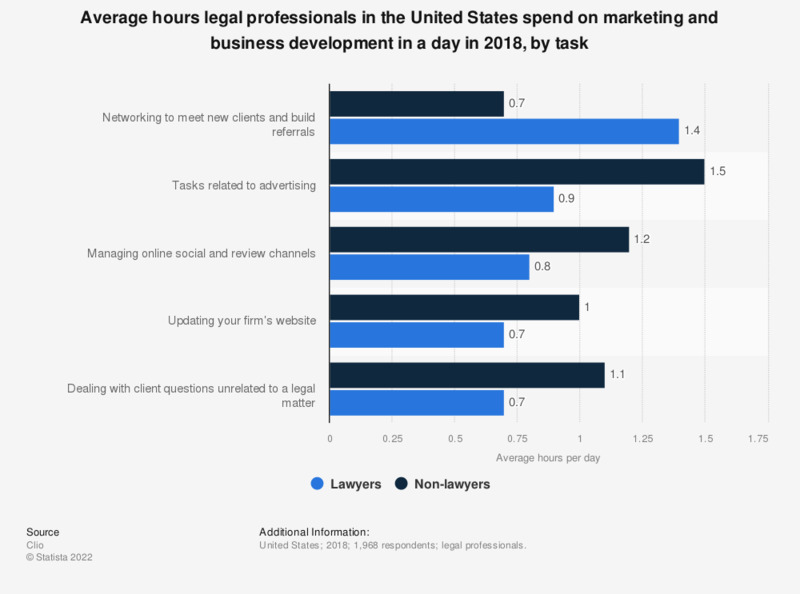 This statistic depicts the average hours legal professionals in the United States spend on marketing and business development in a day in 2018, broken down by task. During the survey, on average lawyers stated they spent 1.4 hours per day on networking to meet new clients and build referrals. Survey method was not stated by the source. Survey region excludes Alaska and Hawaii. Statistics on "Boutique law firms in the U.S."
How do you currently bill for legal services? How many hours per week do you typically spend meeting with clients or representing clients in court or before other judicial bodies? Which of these measures has been most effective in reducing the volume of litigation your company faces? Which support/ business services area in your firm could benefit most from more automation?